Susan D. Phipps, 75, Vincennes, passed away Sunday, December 2, 2018 at Good Samaritan Hospital. 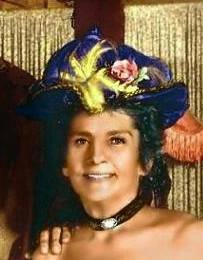 Susan was born September 23, 1943, in Champaign, IL, the daughter of Walter and Wanda (Whipkey) Pepple. She married Harry Freeman. She was a CNA. Susan is survived by her children, Rodney Freeman of Branson, MO and Chris (Angel) Freeman of Vincennes; nine grandchildren; and seven great-grandchildren. She was preceded in death by her parents; husband, Harry Freeman; daughter, Cindy Freeman; and daughter-in-law, Sue Freeman. No services will be held. Fredrick and Son McClure-Utt Funeral Home Vincennes Chapel, 313 Church St. assisted the family with arrangements. Online condolences may be made at www.fredrickandson.com.